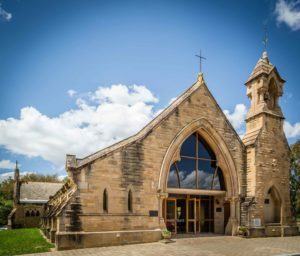 Come along for a guided tour of the heritage-listed church, originally constructed as a mortuary train station at Rookwood Cemetery in Sydney. When decommissioned it was purchased and moved to Canberra to be reconstructed as a church. You know the outcome–you’ll be sitting in it! — but the story of how this building was disassembled, transported and reconstructed–stone by stone-will have you on the edge of your seats. This event is free but donations will be gratefully accepted. Did you know–donations specifically for our church building are tax deductible; please contact the Parish Office on 6248 7420 if you are interested in making a donation toward preservation of this significant Canberra landmark.